More than ever, there are reasons to move to Bulgaria. You can register to live here or you can set up a company and start to develop your business. Bulgaria is a booming area in Europe. The taxes are low and the employer costs for staff are of a level that one in Belgium can only dream of. The employer’s cots for insuring the staff as well as for all sorts of other obligations as rsz, come to 35 % of the salary, and this can reach up to 800 leva. You can never pay more than 800 leva , converted about 400 euros , of taxes on the wage , no matter how high this wage is. This system is a challenge for managers and other sort of experts in Belgium, with other words, for to anyone with a high salary. You pay social security and insurance on a salary of maximum 2400 leva. You pay 1.95 leva for a euro and this is a fixed rate. 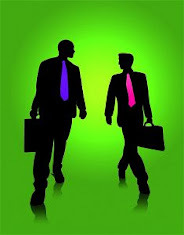 Outsourcing to Bulgaria is therefore a must for every successful businessman in the field of the human resources in Belgium. Belgian Bulgarian Tax and Law Consultants can accompany an outsourcing business from a to z. We have experience and expertise. Our team consists of Bulgarians, Belgians and Dutch. We fully realize the needs of the Belgian and Dutch entrepreneurs. There is a possibility to set up a company in Bulgaria, register your staff here and position them to work in Belgium with an A1 document. Another possibility is to pay your taxes as a company in Bulgaria. Bulgaria has a flat tax of 10 %. And the good news about this is that there has recently been decided that it will certainly not change the coming years. There is a great potential for Bulgaria to become the new Monaco. Bulgaria has everything needed to meet the requirements of a new Monaco. There are a lot of mountains, a beautiful nature and an excellent climate and the people there are very jovial and loyal to the foreign entrepreneurs. The banks are open for business, politicians make great efforts to encourage entrepreneurship and you can see that the unemployment in Sofia, for example, is less than 3 % . Bulgaria is also the only country in the European Union that had an economical growth in 2013 and a deficit of less than 3 % . The debt of the government is negligibly low. So, there are many reasons for you to invest in the future and therefore to move to Bulgaria. 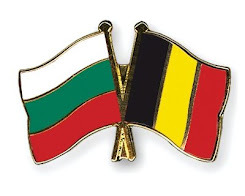 Belgian Bulgarian Tax and Law Consultants can help you from start to finish with the relocation of your goods or materials from Belgium to Bulgaria. We may provide your with an address here, help you to found your company and give you some advice about the legal and financial aspects of your business. We can find a manufacturer for your products, do your accounting , and work out the marketing strategy for your business .